The effect of large-scale atmospheric pressure changes on regional mean sea level projections in the German Bight in the twenty-first century are considered. 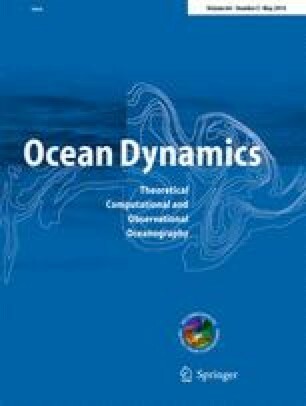 A developed statistical model is applied to climate model data of sea level pressure for the twenty-first century to assess the potential contribution of large-scale atmospheric changes to future sea level changes in the German Bight. Using 78 experiments, an ensemble mean of 1.4-cm rise in regional mean sea level is estimated until the end of the twenty-first century. Changes are somewhat higher for realisations of the special report on emission scenarios (SRES) A1B and A2, but generally do not exceed a few centimeters. This is considerably smaller than the changes expected from steric and self-gravitational effects. Large-scale changes in sea level pressure are thus not expected to provide a substantial contribution to twenty-first century sea level changes in the German Bight. We acknowledge the modelling groups, the Program for Climate Model Diagnosis and Intercomparison (PCMDI) and the WCRP’s Working Group on Coupled Modelling (WGCM) for their roles in making available the WCRP CMIP3 multi-model dataset. Support of this dataset is provided by the Office of Science, US. Department of Energy. This work is a contribution to the ‘Helmholtz Climate Initiative REKLIM’ (Regional Climate Change), a joint research project of the Helmholtz Association of German research centres (HGF).